I received this Global Citizen Award tonight (12 Nov 2016) in honor of my global achievements with my international community , independent Think and do Tank with the name World Leaders Forum Dubai - Global Movement of more then 150.000 Global Citizen Members from 119 countries and especially for our marvelous EARTH AMBASSADORS in Africa , who have contributed to create a better world in their community .. i feel deeply honored and humbled and want to pass this GLOBAL CITIZEN HUMANITARIAN AWARD 2016 on to you all! The greatest achievement of the human spirit is to live up to one's opportunities and make the most of one's resources. 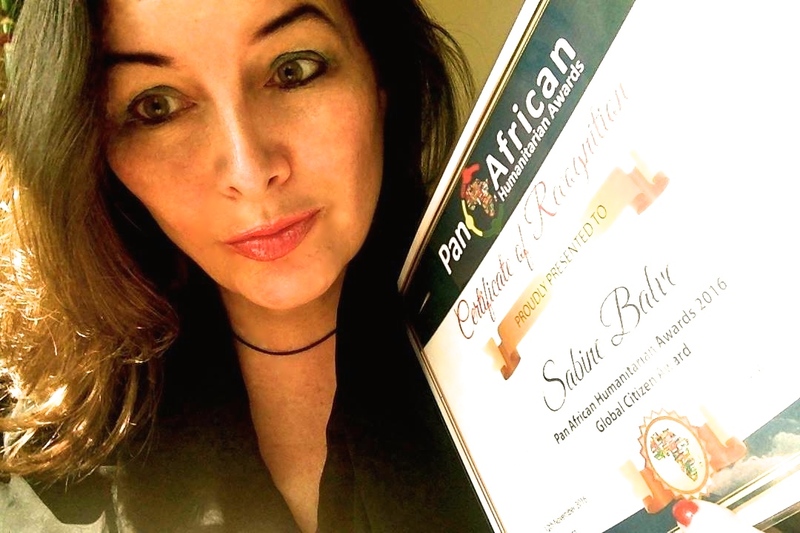 You, Madame Sabine Balve, as the founder and spirit behind our Global Movement, our global team and international board wants to congratulate to your global achievement !! ... you are a role model for us and thousands of other citizen who had expressed their thanks to us for your tireless global work you did in education and awareness for a sustainable and more humanitarian World ... You are here in order to enable the world to live more amply, with greater vision, with a finer spirit of hope and achievement. You are here to enrich the world! ... God bless you! 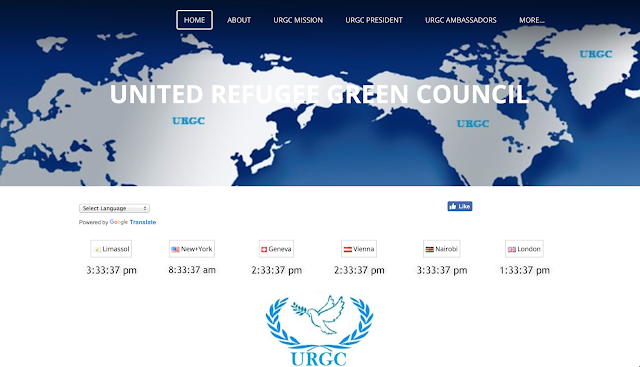 Peace is a MUST, it would create a more sustainable and humanitarian Future for all. Families and children, who are currently starving ..
As Chair of the Futurist's Board, serving and supporting the 42 top futurist's on our planet by the realization of the book: "Visions of the Future", shortly launched and upcoming global events. Authors are Google director, Prof. Ray Kurzweil, named as the Genius beside of Bill Gates, who is founder and president of the singularity university, Prof. Lord Martin Rees, former president of the Royal Science in London, UK and many other outstanding futurist and brains of this planet. 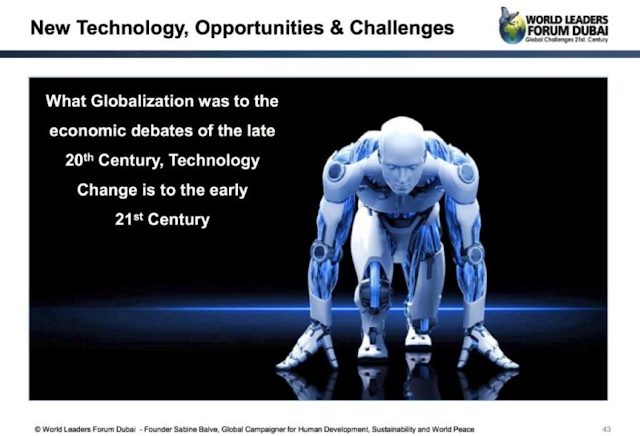 "Global Challenges and Opportunities, What the GLOBALIZATION was to the economic debate of the late 20th Century, TECHNOLOGY CHANGE is to the early 21st Century. Google bought the 8 largest Robot Companies in the World. A NEW ERA starts, Robots, AI is replacing human work. New Economic and Social Models are required."